English songs by Gibbs and Elgar. 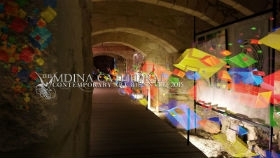 APS bank is the main partner of the Mdina Biennale. 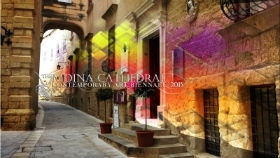 The Mdina Cathedral Contemporary Art Biennale will open on Friday November 13th at 20:00. 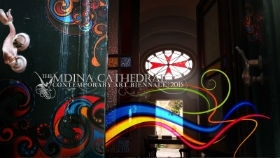 The annual concert organised by APS Bank is this year part of the Mdina Biennale. The Malta Philharmonic Orchestra, conducted by Christopher Muscat, will join forces with soprano Andriana Yordanova and the Bel Canto Choir in the world premiere and recording of Euchar Gravina's Stabat Mater, which had received the Special Jury Prize in the APS Bank Composition Competition held in 2012. Attendance to the APS Bank concert is by invite only. The public will be able to view the exhibition from 20:00 onwards. Johann Sebastian Bach's "Goldberg Variations" (BWV 988) was first published in 1741. This work, originally written for harpsichord, is considered to be one of the most virtuosic and ambitious examples of the variation form in the Baroque period. The Variations are named after Johann Gottlieb Goldberg who may have been the first performer. Although never proven to be true, the story behind the Goldberg Variations is probably as famous as the music itself. The idea to Gjorgji Cincievski who wrote this transcription for violin, viola and double bass, came from the fact that the main element of these variations is based on a single ground bass theme. The aim was to emphasize more the bass line thus presenting the double bass as the lowest instrument, to add depth and a warmer tone to the color of the whole structure. This transcription maintains the integrity of Bach's writing while also being idiomatic for the double bass. The main difference of this transcription from the original harpsichord piece is the last four additional bars, at the end of the "Aria da Capo". Derived from the final bars of the piece, the idea of such a different conclusion is that it evokes the transcribers desire to try and prolong the ending, even shortly, of such a monumental work. This does not in any way dispute the original Bach ending but on the contrary it is consciously written to reflect my enormous respect towards this great master. This edition, now published by Hofmeister editions in Germany, has been performed now worldwide and has received many awards and highest of praise by many performers, soloists and pedagogs. However this concert is a promotion of the world premiere recording from this transcription, as it's the first time in the music history that this piece has been recorded in such combination. The performance and recording of the young violin soloist Marketa Janouskova , together with Malta Philharmonic principal viola player Nadia Debono and Malta Philharmonic principal double bass player Gjorgji Cincievski, has been characterized with their individual high musical and artistic skills, as well as a harmonious and homogenous ensemble. This concert and recording has been supported by the kind help of Malta Philharmonic Orchestra, The Janatha Stubbs Fondation and Pirasto Strings. 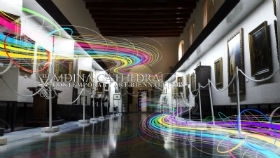 The Mdina Cathedral Contemporary Art Biennale presents the poetry evening 'Stirred Words'. "Nobody reads a poem to find out what happens in the last line. They read the poem for the experience of travelling through it." - George Szirtes. Poems by: Priscilla Cassar, Justin Fenech, Karina Fiorini, Claudia Gauci, Stephanie Mangion and Jeremy Micallef. Music: Simon Vella and Mark Rapa. 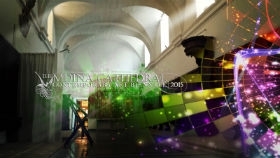 APS bank is the main partner of the Mdina Cathedral Contemporary Art Biennale. Dr. Giuseppe Schembri Bonaci, artistic director of the Mdina Biennale, has also been appointed artistic director for Strada Stretta, an initiative take by the Valletta 2018 Foundation. A series of events will be taking place at Strada Stretta, Valletta. Event details will be posted here and updated constantly. 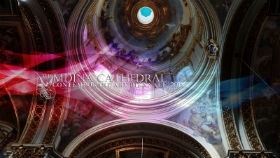 Join the Mdina Cathedral Contemporary Art Biennale team Xmas celebrations!!!! NOTHING, nothing, nothing, nothing comes from nothing - a talk on nothing just before wine and food by Dr Giuseppe Schembri Bonaci. The History of Art Department at the University of Malta is proud to launch Irene Biolchini's publication "Le faenze di Lucio Fontana" (International Museum of Ceramics in Faenza, in collaboration with the Department of History of Art, University of Malta) on Wednesday, 25th March, 2015 at 4.30pm at the Faculty of Arts Library. The event will have short talks by Dr Giuseppe Schembri Bonaci and Irene Biolchini. A copy of the book is also being presented to the Faculty of Arts Library. Ms Biolchini is a Ph.D candidate under the supervision of Dr Giuseppe Schembri Bonaci. Her dissertation concerns Barcelo's role within the development of contemporary art. With great pleasure, the Mdina Biennale team invites you for an evening with Chilean singer Myriam O, an Mdina Biennale participating artist, painter and jazz singer. Accompanied by the guitarist Marc Galea at Django Jazz Bar (211, Republic Street, Valletta). We urge you to join us around 2030hrs!